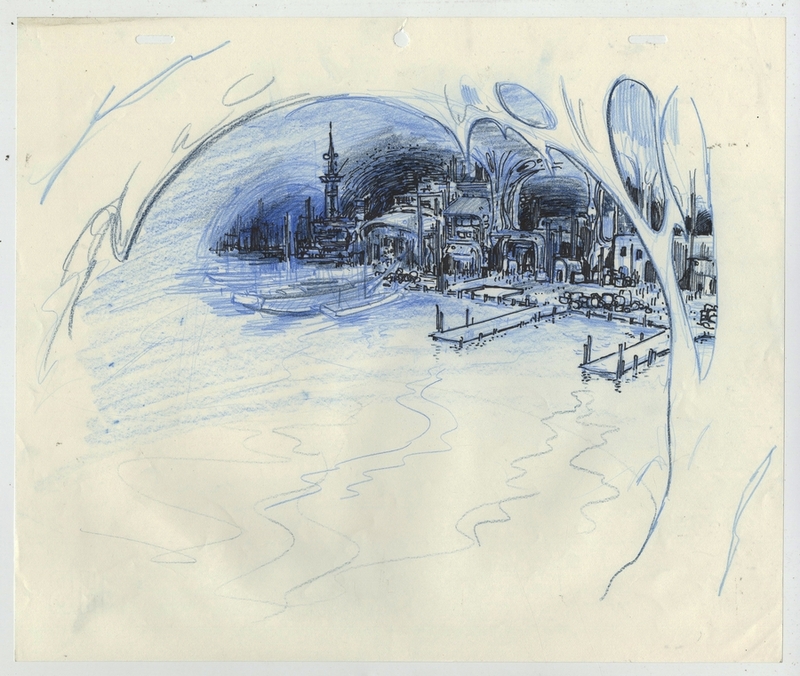 This is an original layout drawing from the Hanna Barbera Studios production of The Pirates of Dark Water (1991-1993). 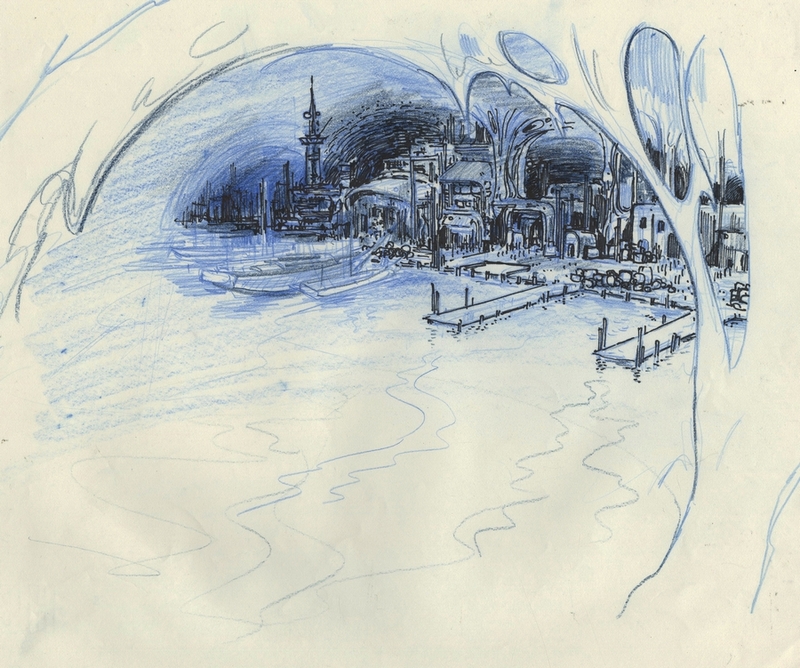 This drawing features a fantastic conceptual image of a cavernous pirate ship dock, and was created at the studio and used during the production of the series. The overall measurements of the piece are 10.5" x 12.5" and the image itself measures 9" x 11". The drawing is in excellent condition. This piece was exhibited at the Norman Rockwell Museum in Stockbridge, MA for their 2017 exhibit, "Hanna Barbera: The Architects of Saturday Morning."